This handsome Blood Red Tee makes a perfect any occasion gift for the Christian who's not ashamed or afraid of being the shining candle in a dark room. The bold white image is simple yet sends a message that you are striving to always become better with every step along the way. Makes a great workout tee... shine for the Lord as a witness and testimony. Let Your Fitness be your witness. Don't forget... this makes a perfect Easter Holiday gift! 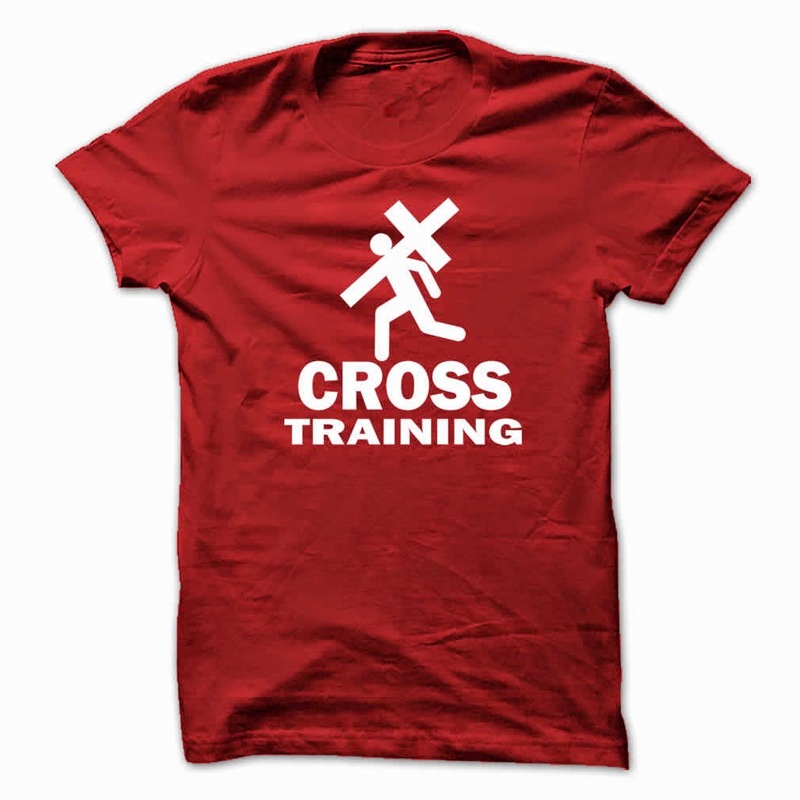 Cross Training Blood Red T Shirt, Cross Shirts, Christian Lady T shirt, Christian Hoodie,, Christian t shirts, Christian shirts, Jesus shirts, Jesus t shirts, create t shirts, t shirts for sale, cheap t shirt design, faith t shirts, funny t-shirt, t shirts for men, t shirts for women.